A near-term market pullback of as much as 10% is likely but we’re still in bull market cycle that has just begun to run. There are years left to go on this secular bull market and, indeed, Benjamin Graham’s P/E formula implies a 2015 S&P price target of around 2476 to 2545. The above introductory comments are edited excerpts from an article* by Clayton Browne (ValueWalk.com) entitled Jeffrey Saut: Ben Graham Method Shows Market Not Overvalued. The introductory comments were made by Raymond James Chief Investment Strategist Jeffrey Saut, and colleagues Scott J. Brown and Andrew Adams, in the firm’s monthly market commentary** titled “Gleanings”. They maintain that we’re still in bull market cycle that has just begun to run and that the S&P 500 should reach somewhere between 2476 and 2545 in 2015. The only fly in the ointment according to Saut is that we are currently entering a period of seasonal volatility, and that there is a good chance of a significant correction (could be up to 10%) in the next few months before the bull market cycle reasserts itself. 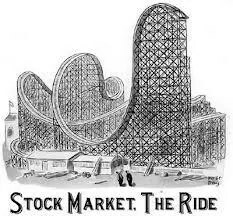 In his analysis, Jeffrey Saut points out that investing in the stock market is just “playing the odds” based on historical data noting that the stock market has been up or flat 59 out of the last 85 years, just over 69% of the time. There are, of course, no guarantees, and any single year or even a decade can show negative returns, but long-term stock market investors are extremely likely to see significant profits. Saut goes on to highlight that the Dow Jones Industrial Average (INDEXDJX:.DJI) has seen 8 structural/secular bull markets since 1896, and that each one lasted an average of 14 years. Saut also takes on the argument that current price to earnings rations are too high. He notes that we are actually below historical P/E ranges, with stocks currently trading at 16.5 times this years earnings estimates and 14.3 times next year’s estimates. Saut has an interesting observation using the Ben Graham formula, noting that: “While valuations are not as parsimonious as they were at the nominal and valuation low, stocks are not expensive, trading at 16.5x this year’s estimate ($119.45) and 14.3x next year’s estimate ($137.59). 3. This Stock Market Decline: The “Real Deal” Or Just Another “Head-fake” Bear Trap? 4. What Does the 10-year Yield’s Death Cross Mean For Stocks? 11. What Are the 2 Catalysts That Cause Major Market Corrections Telling Us Today? 13. Market Significantly Overvalued. It is Not A Question Of “IF” but “When” It Will Happen! 18. Fearful In This Market? If Not, You Should Be! 24. Are We In Phase 3 – the Final Phase – of This Bull Market Yet? 26. Is Now the Calm Before the Storm? 30. Beginnings of Massive Stock Market Correction Developing: Don’t Delay, Prepare Today! 31. Is This Just a Dip Within an Ongoing Uptrend OR Have the Bears Finally Awakened? 41. Is Using the VIX to “buy the freaking dips” a Good Strategy? 50. Don’t Be Scared “Stockless”! There’s No Fear Anymore – Anywhere! Previous Beer vs. Wine: Which Is the Most Popular? Which Is the Healthiest? Which Is etc.